Want to learn more about floral design, sustainable practices, or locally grown flowers? Sign up for one of our upcoming workshops! Advanced registration is required. One admittance per registration. Private and custom workshops are also available by request for special events or groups. 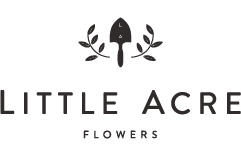 Call the studio at 202-524-0812 or email amber@littleacreflowers.com to start the conversation! Winter Wreath Workshop - Sunday, December 2, 1-3 p.m.